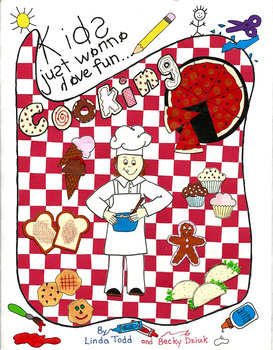 Kids Just Wanna Have Fun...Cooking is 161 pages of fun unique ideas for a great cooking unit for your classroom. 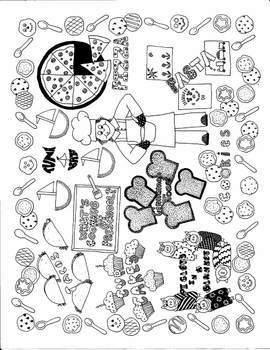 Our book is a great resource for cooking with young children rather it be in a preschool, daycare, elementary classroom, after school program or summer camp setting. (I even used it for a 6 year old's birthday party with great success). We provide TIPS FOR KEEPING THINGS SAFE AND CLEAN so that each child touches their own portion of food. (We have learned that no matter how many times you have the children wash their hands, someone will always do something that makes you not want their hands near everyone else's food). The children also don't touch the hot pans. There's instructions for making each child their own CHEF'S HAT to wear. We try to keep your cost down by providing a NOTE TO PARENTS that you can send home with children asking to provide some of the ingredients needed. There's a BULLETIN BOARD with full size patterns for everything you need to set it up. You save a few craft projects from each food as they make them to fill in the board. This is fun and colorful and reflects what the children are doing in your class. 1. HOW TO COOK - Which lists; Things You'll Need: foods, heat source, pans, cooking utensils, mixing bowls and serving items. 2. 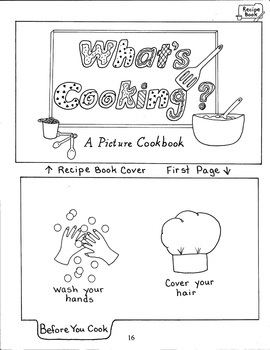 A PICTURE RECIPE BOOK PAGE that the kids can make and read themselves. Non readers have prompting from the pictures. The pages are to be gathered into a cook book to take home at the end of the unit. 3. A CRAFT PROJECT featuring each food. Some of each, is saved to hang on the bulletin board, others are sent home. So the room is well decorated and the children are sharing with their families what they are doing at school. 4. 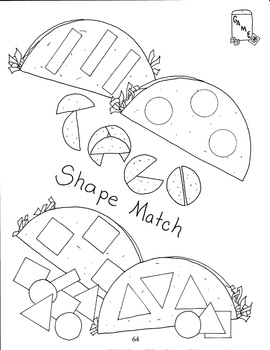 A GAME featuring each food. Games include full size patterns for game pieces plus labels and how to play instructions to attach to the container. Most games fit into a mailing envelope, but one's with larger pieces (like dice) fit into a box. Lastly, we provide many BOOK SUGGESTIONS for reading to the class and for children to look at during choosing times. We've fit a lot of FUN into this book!